Tornado Tears set the greyhound racing world alight last night with an unbelievable performance on his staying debut. He sprung out of box 1 and then set some white hot sectionals, before completing the 715m trip in a phenomenal time of 41.20 – just half a length outside of Miata’s long standing track record of 41.17. “Mind-boggling, absolutely mind-boggling,” said Rob Britton Greyhound Training representative Peter Riley. 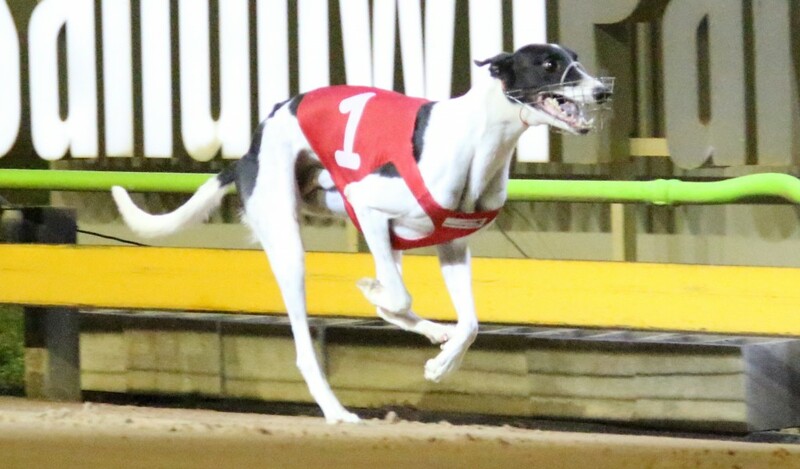 His time is the fastest ran over the distance since Space Star went 41.26 in a heat of the 2015 RSN927 Sandown Cup. “I thought he would run out an okay ‘700’, but how can you expect that, 41.20. I’ve never seen a run like that from a greyhound on debut over the distance. Although it was Tornado Tears’ first go at the staying trip, that didn’t shy punters away as he started the $1.60 favourite with strong support coming late with tab.com.au. Tornado Tears looks destined to follow the footsteps of his litter brothers by competing at the sport’s highest level. Fernando Express and Rippin’ Sam were placegetters in last weekend’s G1 Golden Easter Egg and G1 Association Cup at Wentworth Park respectively. Tornado Tears is now a chance to head to Perth’s Sky Racing Galaxy heats next Saturday night. The time of Tornado Tears unsurprisingly now has him at the top of the 715m Speed Star standings, six lengths ahead of Rippin’ Sam’s 41.56. Tornando Tears’ was $26 into $2.50 for next month’s RSN927 Sandown Cup following his win. Tornado Tears @sandowndogs you’ve got to be kidding me. 41.20 is absolutely ridiculous. Can’t wait to see Tornado in the Sandown Cup, he was $31 before tonight!! Wow!! We want the next litter battle !!! Anyone think we'd see Miata's 715m track record (41.17) threatened tonight?